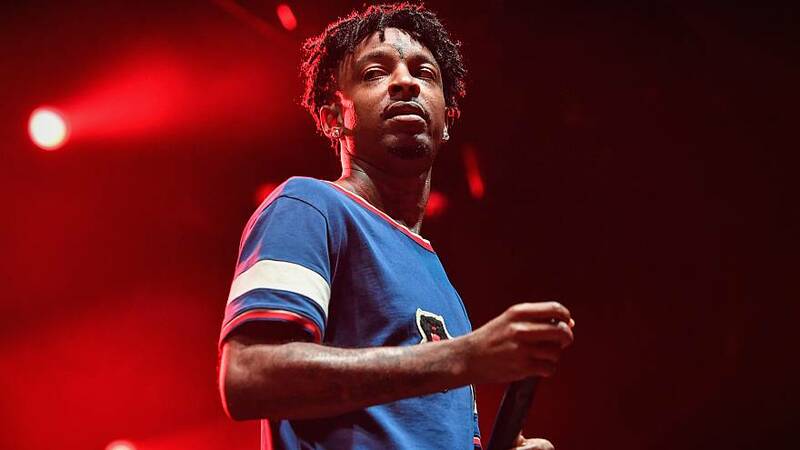 Rapper 21 Savage was arrested early Sunday morning by U.S. Immigration and Customs Enforcement, who say he is from the United Kingdom and overstayed his visa, according a statement from the agency. The rapper, whose real name is Sha Yaa Bin Abraham-Joseph and who says he is from Atlanta, was taken into custody in a "targeted operation," ICE spokesman Bryan Cox told NBC News in a statement. "Mr. Abraham-Joseph was taken into ICE custody as he is unlawfully present in the U.S. and also a convicted felon," Cox said. Abraham-Joseph, 26, has been placed into removal proceedings, before the federal immigration courts, the statement added. "ICE will now await the outcome of his case before a federal immigration judge to determine future actions," Cox said. He was convicted of felony drug charges in 2014 in Fulton County, Georgia. Abraham-Joseph performed in Atlanta as recently as Thursday in the Super Bowl Music Fest at State Farm Arena.